This is not a lot (especially not when you look at others like Jay Rosen, who has the coveted blue check mark), but it’s nice. 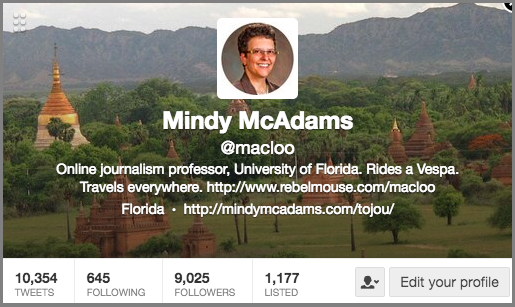 The last time the odometer rolled over was in June 2013 (8,000 followers). Recently I switched from HootSuite to TweetDeck. Liking it a lot.